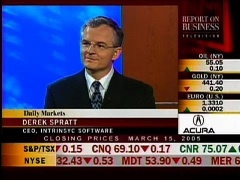 The interesting/scary thing about these TV interviews is how young I look in the 1997/1998 Investors On Line interviews and how much older I look in the 2005 interviews on ROBTV. Is this just normal aging or has my high stress leadership role as CEO of Intrinsyc over more than a 10 year period prematurely aged me? 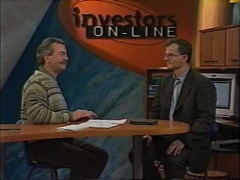 In what was later to become the 'classic' early stage Intrinsyc CEO interview, Pat Bolland (click here for Pat's bio) of Investors On Line TV granted me a 17 minute nationally televised interview - just after our successful appearance with Microsoft in their booth at Comdex '97 - where we had been granted a semi-private (invitation based) audience with Bill Gates and Steve Ballmer. 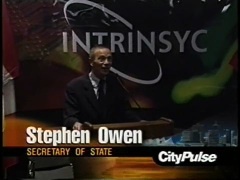 It was a crazy time at Intrinsyc as we were starting up a financing road show based on the strength of our Comdex event momentum and had hoped for a TSX Exchange Listing that ended up not materializing for 3 more years. 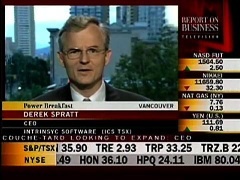 I left Pat's TV studios and drove through a snow storm to the Toronto airport and boarded a plane for investor presentations in Taiwan, via San Francisco, and arrived back in Vancouver 3 days later. 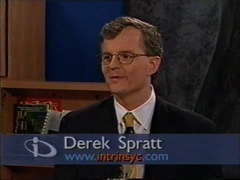 In March of 2000 Intrinsyc secured another interview, this time on ROBTV while I was in Toronto during a financing road show with LOM Limited. This interview was not recorded but it stands out as a seminal event because our ICS stock traded up $1 during the interview and hit its all time high of $9.70 just before the interview ended. I received many calls and emails from family, friends and colleagues offering congratulations for a motivational performance that truly created shareholder value!